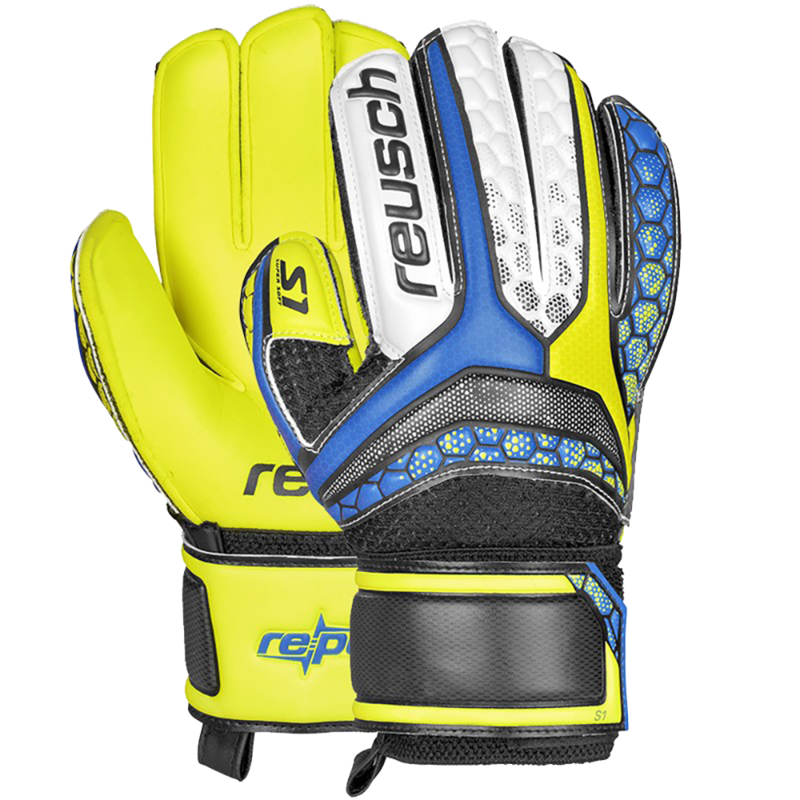 Junior Reusch goalie glove with finger protection on sale. The S1 super soft foam is a high quality palm made of natural latex. Wider Latex Wrist Bandage closure with velcro fasteners.